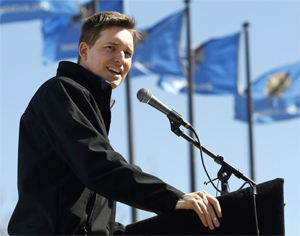 Lieutenant Governor candidate Matt Pinnell in a press release called today for his fellow contender, Oklahoma Corporation Commissioner Dana Murphy, to resign from her position with the Commission because of the Corporation’s ongoing consideration of the Wind Catcher Energy Project — one of the largest cases in history — and, Pinnell asserts, her continuation of accepting donations from individuals and corporations she is constitutionally bound to regulate. 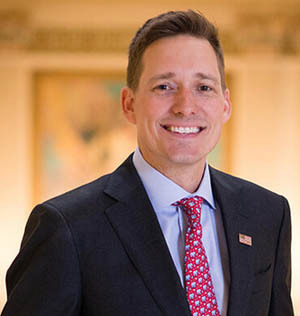 Pinnell asserts Commissioner Murphy is gathering donations from individuals on both sides of the Windcatcher case and slow-playing a ruling as a way to raise money using her influence as a Corporation Commissioner. “Commissioner Murphy can’t have it both ways: you can’t raise money from the very people you are regulating while at the same time running for a different office. This is what voters loathe. We’re tired of the same politicians answering to the same special interests. I’m asking Commissioner Murphy to do the right thing, resign to run for this office if she truly wants to be Lt. Governor,” Pinnell said. Last quarter, over 84 percent of Commissioner Murphy’s campaign donations were from individuals and industries she regulates, and even more concerning, she has taken money from those directly involved in the current Wind Catcher proceedings. “Commissioner Murphy is using her current government role to enhance her self-interest and fill-up the coffers of her campaign account while at the same time delaying a ruling in a consequential Corporation Commission case because she just simply doesn’t like the political optics that would result in picking a side,” said Pinnell. “Dana Murphy has collected more than $500,000 from industry sources to fuel her campaign for Lieutenant Governor, while at the same time sitting on the Corporation Commission regulating those same interests,” Pinnell wrote. 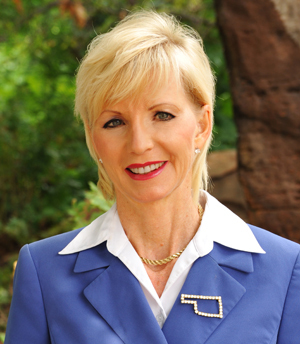 “As an Oklahoman, I call for Commissioner Murphy to step down, effective immediately and let’s have a discussion on her plans as Lt. Governor. “I ask that she quit playing politics and wasting taxpayer money holding a government job she is currently not fulfilling,” Pinnell concluded. 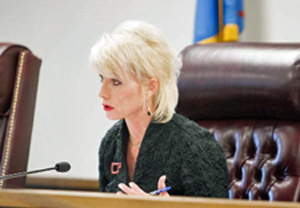 As Commissioner Murphy may respond, Tulsa Today will post updates. This entry was posted in State on July 19, 2018 by admin.